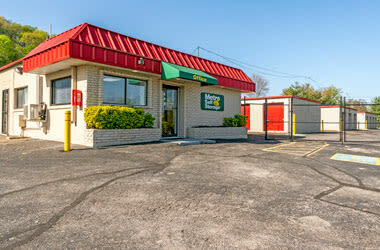 When you choose Metro Self Storage in Knoxville, Tennessee, you'll be joining a family of experienced storage professionals who make customer service their top priority. We offer a wide variety of storage unit sizes and storage rates so you can create a custom storage solution to meet your residential or business storage needs. Additionally, you can choose to store your items long-term, short-term, or month-to-month. Our 5X5 small storage units are popular for storing small furniture, appliances, holiday decorations, seasonal clothing, and numerous boxes of archived records and documents. If you need a garage-style storage unit with drive-up access, our wide drive aisles, and roll-up doors make loading items into your unit quick and efficient. Do you already know what size you need? Great! Reserve your storage unit online now and take advantage of our promotional storage rates. Not sure what size storage unit you need? Please call or come see us in person for a consultation with our on-site Property Manager. Outdoor drive-up access units with large roll-up doors are suitable for commercial and landscaping contractors. Large storage units accommodate equipment and supplies as well as staging inventory for real estate professionals. Small storage units ideal for records and document storage as well as tools and equipment. 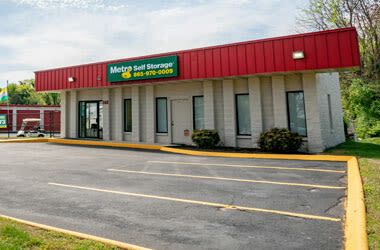 With competitive storage rental rates and 24-hour security cameras, you’ll be confident when you meet your business storage needs at Metro Self Storage in Knoxville. Life takes organization, and whether you are upsizing, downsizing, or reorganizing, Metro Self Storage can help. 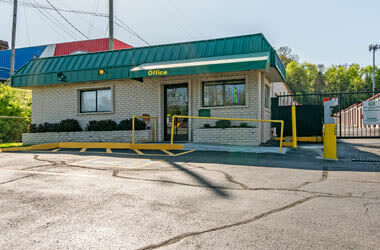 Our ground-level Knoxville storage facility features drive-up access storage units without stairs or elevators. Are you looking for great storage rates on outdoor parking for your auto or RV? Do you have multiple items from your garage, attic, or basement that you would like to store in a secure, clean, and well-lit space? Do you need a large commercial storage unit for business tools, equipment or inventory? With more than 40 years of experience in the storage industry, our family-operated company continues to offer superior customer service and well-maintained storage facilities with excellent security features.